Reduce costs for maintaining content on your website with this innovative web based solution. 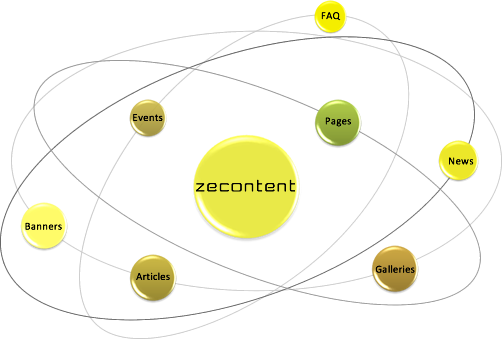 zecontent is a user-friendly publishing system which helps you maintain websites at reduced costs, easily and simply. zecontent is a web-based solution that will give you the ability to maintain your website yourselves from anywhere in the world provided Internet access is available. This web based solution allows non-technical users, as well as IT professionals, to modify and update content of a website at anytime from anywhere provided Internet access is available. No installations are required locally. Only a browser is needed so as to log into the system through the zeportal management console. zecontent our developers’ team had in mind that users with limited technical knowledge will be using the tool. Therefore, zecontent is very simple to be used following the design of widely and commonly used applications. Moreover, the utilization of the WYSIWYG editor enables users to create webpages by typing or copying text and inserting images. Multilingual support is also provided in a flexible way, aiming to enrich the website’s content. zecontent turns the hassle of maintaining content such as web pages, news, events, banners and photo galleries, into a pleasant activity. The application is developed in a modular way giving the opportunity for features expandability so as to cover your specific needs. zecontent offers high security both at IP and users levels. More specifically, the application can perform a check of the source IP address of the user and if valid then the login page will appear. In order to login into the system, the users must enter the appropriate credentials and if correct access is granted. 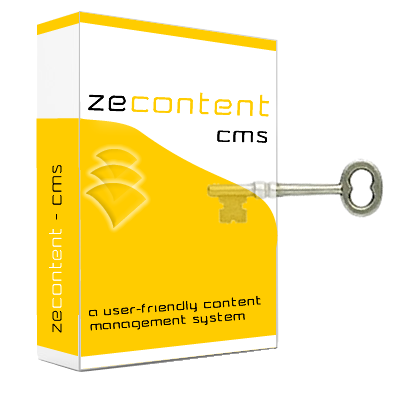 Another important feature included in zecontent, is related to users management. The system supports the creation of various user groups / roles which can be assigned certain permissions, controlling with this way the actions to be performed. When the user logs into the system, date and time are recorded, allowing the administrator to audit the various actions taken. Any actions taken related to creation and update of any type of information are recorded accordingly. zecontent is fully managed through zeportal management console allowing integration with zecustomer (customer relationship management system) and zecommerce (electronic commerce system). Finally, it is fully integrated with other web based applications using XML, allowing this way, endless customization capabilities. For further information on zecontent or for arranging an appointment with our consultants please call at +357 22028128 or send an email at info@zebrac.com.